Myrtle Beach Seaside Resorts "Mother’s Day Girlfriend Getaway Package"
My family will be headed away to Grande Shores Resort in Myrtle Beach very soon for a much needed getaway. I wanted to share the latest promotion from Myrtle Beach Seaside Resorts. Spring is finally here! The sun is shining and the flowers are blooming, which means Mother's Day is right around the corner. Myrtle Beach Seaside Resorts is offering the ultimate "Mother's Day Girlfriend Getaway" package including oceanfront accommodations, shopping and dining on the world-famous Grand Strand. Myrtle Beach Seaside Resorts (MBSR) – operator of the area’s premier oceanfront condo-hotel and vacation rental properties – announces the “Mother’s Day Girlfriend Getaway Package” featuring oceanfront accommodations, daily breakfast, dinner and a Tanger Outlet coupon book. Starting at $279, the ultimate vacation for mom includes two nights in an oceanview room at any MBSR property, a daily Southern breakfast buffet for two, dinner for two at one of the resort’s acclaimed onsite restaurants, as well as a welcome wine and fruit basket. The package also includes a coupon book valued at up to $1,300 in savings to the area’s premier shopping center, Tanger Outlets. Rates are based on double occupancy in a one-bedroom suite over Mother’s Day weekend. Price includes all taxes and resort fees. Additional nights and guests can be added. Package is available May – December 2014. Myrtle Beach is within a half-day’s drive of population centers like Washington D.C., Raleigh, Charlotte and Atlanta. Moreover, Myrtle Beach International Airport (MYR) is conveniently located to all Seaside properties. Serviced by Delta, Continental, Spirit Airlines and US Airways, it features daily, nonstop flights to over 25 destinations including Philadelphia, Baltimore, Newark and Chicago. All lodging options provide easy access to dining, shopping, sugar sand beaches and other area attractions on the world-famous Grand Strand. 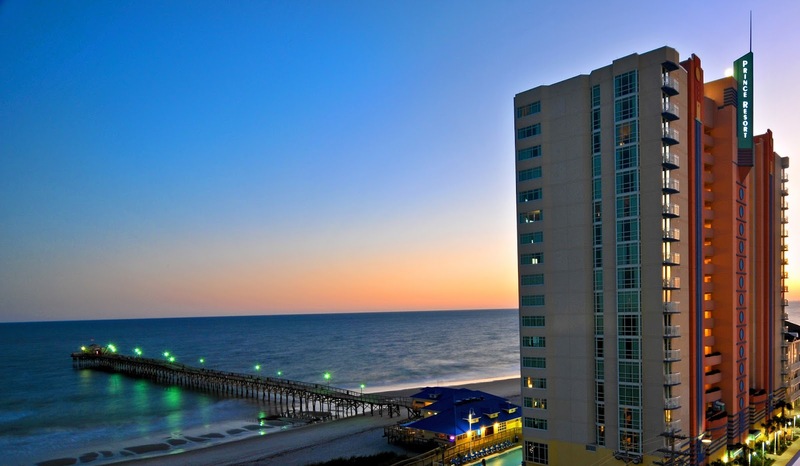 Myrtle Beach Seaside Resorts is a collection of six oceanfront and ocean view condo-hotels in North Myrtle Beach and Myrtle Beach, South Carolina. 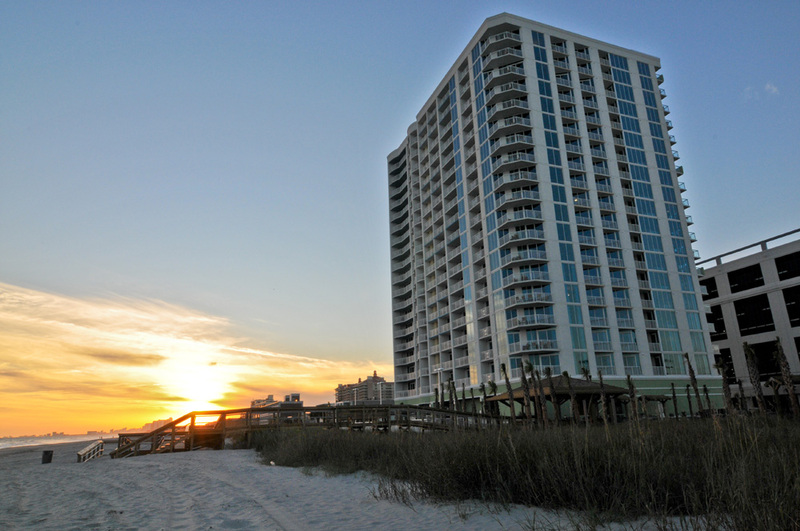 Avista Resort, Prince Resort, Horizon at 77th, Grande Shores, Seaside and the Towers at North Myrtle Beach all provide the comforts of full-service resort hotels with the space and luxury of condominiums. Each property features modern décor that reflects a coastal lifestyle and breathtaking views of the pristine northern region of the world-famous Grand Strand. Elegant yet affordable, units are spacious one to three bedrooms with fully-equipped kitchens, washer / dryer, and private balconies. Most hotels have fitness centers, an array of indoor and outdoor pools, on-site dining and access to world-class beaches.